Dilworth Park Welcomes the Democratic National Convention! Dilworth Park is open to the public and celebrating the DNC's arrival in Philadelphia with a variety of exciting and entertaining activities for the convention week. All schedules are subject to change. 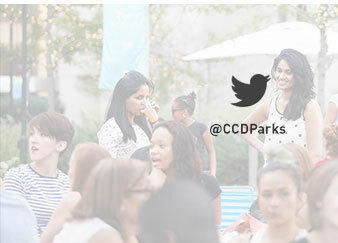 Follow @CCDParks and Facebook.com/dilworthpark/ for the latest updates. Dilworth Park is participating in this event with three days of live entertainment featuring local, Philadelphia-based artists dancing, singing, acting and performing at the PNC Terrace! Visit DilworthPark.org/events/ for a full schedule of performers. With the Democratic National Convention in town, Dilworth Park is hosting happy hours for office workers and visitors right in the middle of everything, alongside historic City Hall. 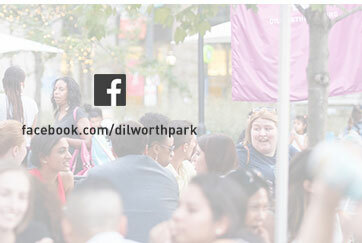 Take in the sights and sounds of the city, while enjoying music, games and great food and drink specials from the Dilworth Park Café and Air Grille. Plus, there'll be red, white and blue décor, an artist's mural, voting ballot activities, a DJ, and a special appearance from Bud Light brand ambassadors. A special All-American themed Center City District Sips at Dilworth Park offers extended hours for the DNC! There'll be $3 beers, $4 wines, and $5 cocktails featuring 2 Gingers Irish Whiskey to sip on the large outdoor PNC Terrace adjacent to the café, with a special appearance by Bud Light ambassadors. This week features a DJ. And don't forget to make reservations this week at your favorite Center City Restaurants! Visit CenterCityPhila.org/restaurantweek/ for a great sampling of options. You can even make your DNC week reservations online, through OpenTable!